Have you been searching high and low for new gifts for Hanukkah 2018? 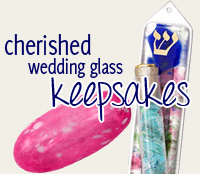 Look no further than www.TraditionsJewishGifts.com, where we have a complete selection of Judaica gifts and Jewish gifts. We realize that finding the perfect new gifts for Hanukkah 2018 can be complicated, especially when you're shopping for the person or people who have everything. It doesn't matter if you're looking for new Hanukkah gifts for men or new Hanukkah gifts for women—you'll find all of that and more at www.TraditionsJewishGifts.com. 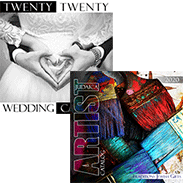 At www.TraditionsJewishGifts.com, there's something for absolutely everyone on your list. You'll also want to check out our unique selection of 2018 Chanukah gifts for children. They're ideal for entertaining the little ones during the holiday season, while also teaching important Jewish traditions such as the lighting of the menorah, the dreidel game and more. Regardless of whom you're shopping for, www.TraditionsJewishGifts.com has plenty of gifts from which to choose when shopping for new gifts for Hanukkah 2018. You won't want to miss out on the following Chanukah gifts for 2018 that are certain to be a hit with family and friends. www.TraditionsJewishGifts.com has added new inventory of stunning collectors' dreidels including the Grape Swirl Beaded Dreidel, Twisted Swirl Dreidel, Copper Dust Beaded Dreidel, Two Tone Beaded Glass Dreidel and other pieces that will leave a lasting impression. Other memorable Chanukah gifts for 2018 include a wide selection of eye-catching menorahs that are simply timeless. Any of these classic items make ideal new Chanukah gifts for men or new Chanukah gifts for women. When you begin your shopping for Chanukah gifts for 2018, make shopping a tradition—as in www.TraditionsJewishGifts.com. Get your Jewish holiday gifts for Hanukkah 2018 from www.TraditionsJewishGifts.com today.